Expand Your Options. Strengthen Relationships. 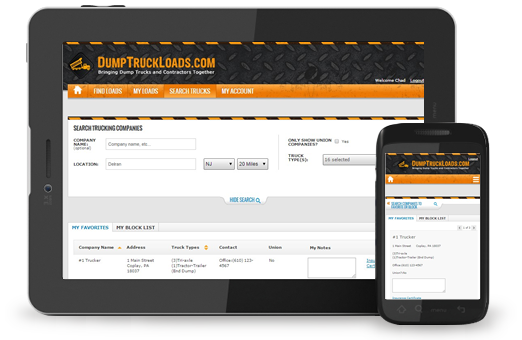 With DumpTruckLoads, find trucks quickly and easily to keep your materials and business moving. Find trucks from any location - at your desk, on the road, or from home. Utilize multiple dispatchers/users. Expedite job assignments. The more trucking companies you know, the greater your ability to keep loads moving. Expand your target area when local trucks are not available. Find the right truck for each job. Sign up today for free membership to DumpTruckLoads. 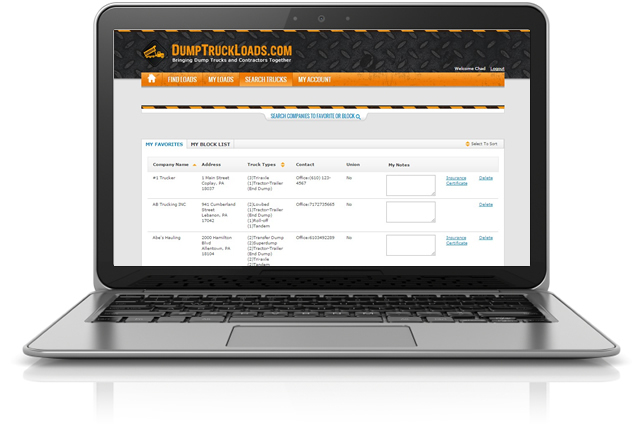 Access the only dump truck network in the world!